Artificial leather & cotton blend baby shoes, classic tassel cute bowknot design. We have multi colors, girls and unisex. Premium PU leather material, soft sole feel comfortable. NO any stimulation to the skin of baby. Elastic ankle cord makes the shoes on the feet, and easy to slip-on or take off. Inside shoes length. Size 0-6 months, 11cm / 4.33in; Size 6-12 months, 12cm / 4.72in; Size 12-18 months, 13cm / 5.11in. 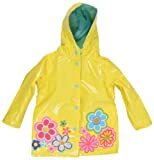 It great for pre walking, fit is perfect for dress party, first birthday, baby shower gift. Please choose size by the length of the baby's foot. Size 0-6 months, Heel to toe length 11cm / 4.33in. Size 6-12 months, Heel to toe length 12cm / 4.72in. Size 12-18 months, Heel to toe length 13cm / 5.11in. 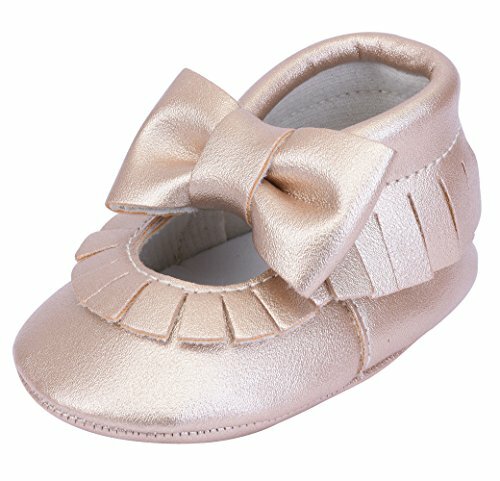 Baby shoes with artificial leather, soft sole, makes baby's feet feel comfortable. CHEEYI has many years experience in the production of baby shoes. We have specializing in the production of leather baby shoes factory, and serious about product quality. The difference between different monitors, the picture may be different from the color of the item. Sizes are measured in flat-laid position, hand measurement will have discrepancy of about 0.5-1cm / 0.19-0.39in.